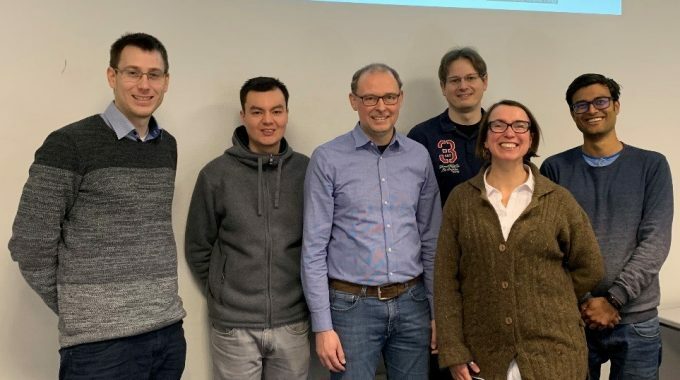 ATB and the Virtual Vehicle Research Center (VIF) from Graz had a 2-day knowledge exchange workshop in Bremen at 28.1 and 29.1.2019. VIF and ATB have met before in the Workshop Big Vehicle Data to Digital Services organized by VIF, where some common ground in research topics has been identified. The knowledge exchange workshop between VIF and ATB was mostly motivated by the Cross-CPP and AEGIS projects, both projects dealing the Big Data challenges. VIF presented the results of the AEGIS project to ATB, more specifically the results from the automotive demonstrator with respect to inferring broken roads and safe driving. ATB introduced Cross-CPP in general and in particular the Common Industrial Data Model, which is an extension of the Common Vehicle Information Model (from the previous project AutoMat) as a brand independent data model to make vehicle data available to cross-sectorial industries allowing cross-domain use cases, which will be extended in CROSS-CPP. Many commonalities could be identified between AEGIS and CROSS-CPP. During this fruitful workshop many topics were aligned, and future cooperation activities were discussed. First ProSEco Newsletter is out!